With such a simplistic name, the vision behind this place is crystal clear. Obviously the owners want it to be a place where good friends (and family) can gather to enjoy simple honest meals that won’t bust your wallet. Food served here has a “homey” feel and the chefs are geared and passionate about cooking healthy food, real food made from scratch in their kitchen. Everything, from the soups to sauces to cakes, are all made in the kitchen of Good Friends. I’m not much of a pumpkin soup fan but the version served here is not only pretty to look at, it tastes pretty good too. 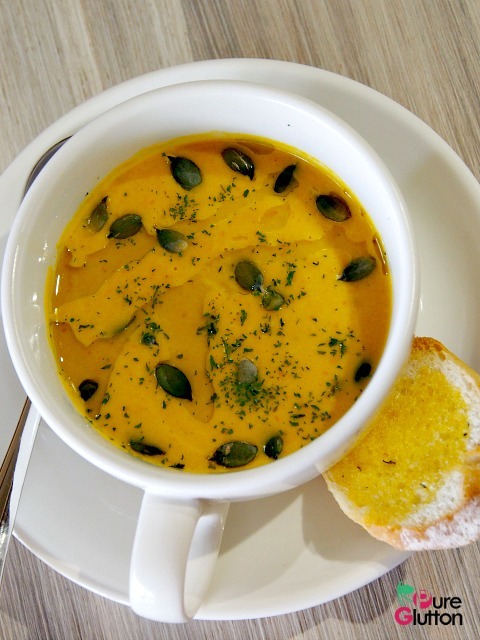 The secret lies in the combo of grilled pumpkin and carrots which are blended with chicken stock. For some added crunch, toasted pumpkin seeds are sprinkled on top. Served with a piece of toasted garlic bread, the soup is just thick and creamy enough to coat the bread, exactly the way I like my soup. I can’t decide which is my favourite: the Eggs Atlantic or the Good French Toast (and it’s really good), both at RM16. Both items have thick slices of soft pillowy bread (made with organic flour) which are already so good on their own. 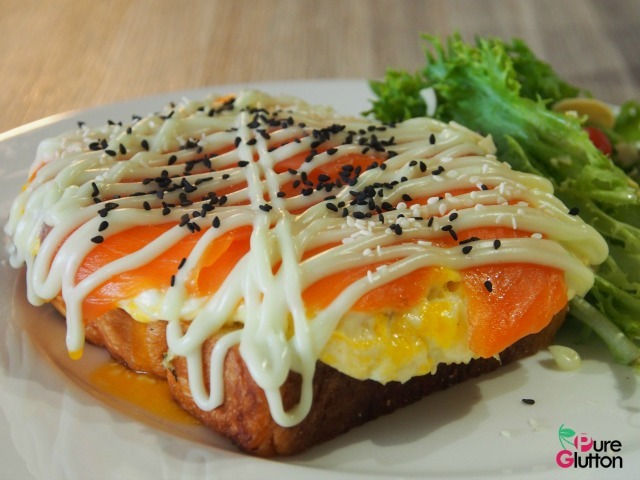 The Eggs Atlantic has smoked salmon and scrambled eggs piled on top of the bread and then drizzled with creamy wasabi mayo. 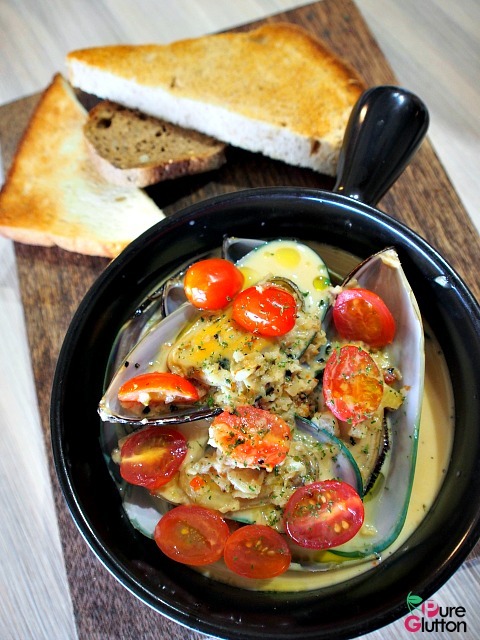 Served with crisp salad on the side, this is such a healthy dish that I won’t mind ordering again and again. 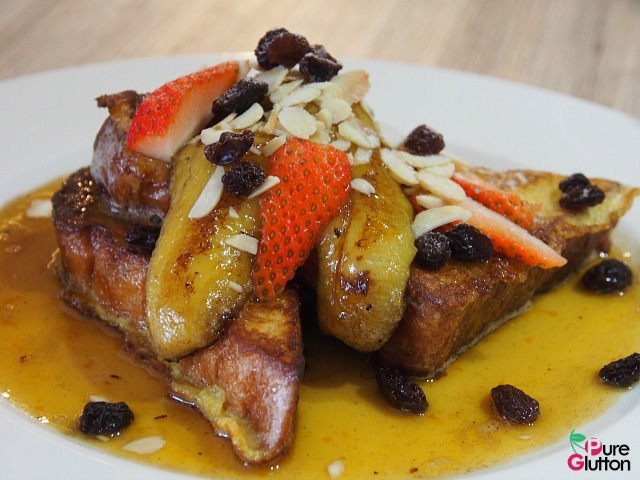 Now, that Good French Toast is something that has to be savoured, even if you are not a fan. The whole concoction is quite irresistible. Caramelized bananas, strawberries, raisins and toasted almonds make good partners for the thick pieces of fried bread. Oh, did I say all these are matched with a tangy sauce of caramelised fresh orange juice? Sublime. 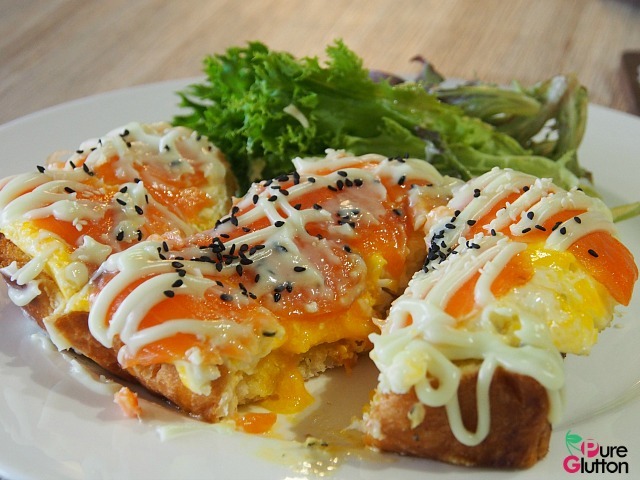 The chefs in Good Friends Cafe love to experiment with food and create new versions of old favourites. Their signature pasta, Tauchu Chicken & Prawns Fettucini (RM19) is nice fusionistic plate of carbs. 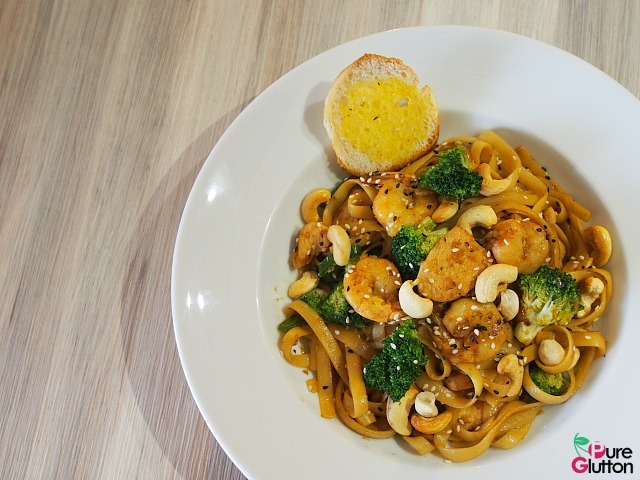 Using fermented bean sauce, the saltish briny nuance works well with the chicken and prawns resulting in a tasty pasta item with a local twist. The toasted cashews sprinkled on top is a nice nutty touch. 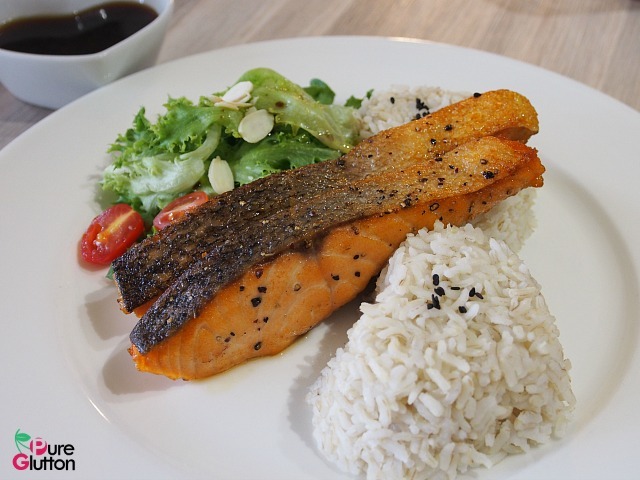 Rice fans would love the Salmon Teriyaki Rice (RM25) which I think is pretty good value. Two thick cuts of salmon fillet are pan-grilled to just the right level of done-ness, with the texture remaining delicately tender and moist. Local brown rice from is used for this dish, with side salad and teriyaki sauce served separately. If you are hankering for some local food, check out their Baba’s Favourite (RM22). 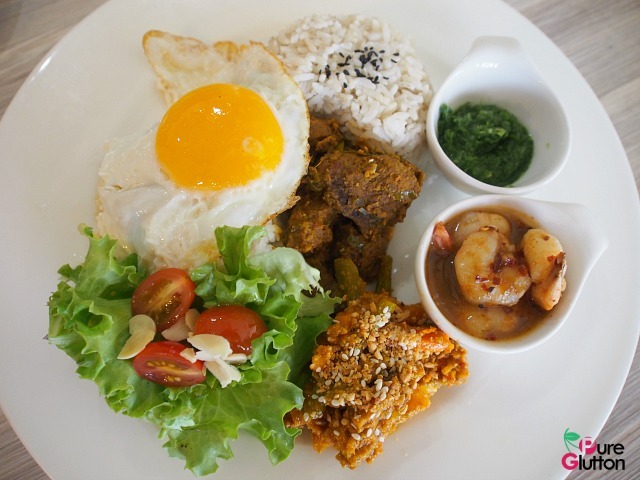 It’s a platter of brown rice served with beef rendang, tamarind prawns, vegetables acar, a “mata kerbau” (egg sunny-side-up) and fresh crisp salad. Chef BH Lee is the guy behind the nyonya dishes here as he himself has baba nyonya blood in him. Portions are substantial and this one-plate-meal is pretty good value-for-money, I would say. Don’t forget the coffee here if you are a coffee fan. Their handcrafted speciality coffees are a big hit. 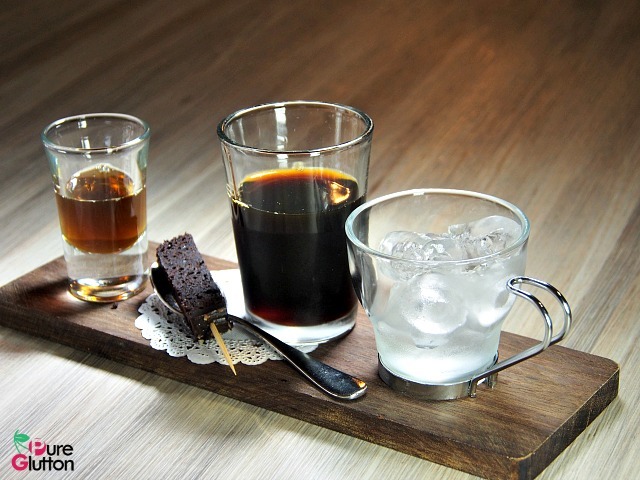 Their Dutch Coffee (RM12) is a special house blend and they serve limited cups per day. It goes through a tedious process: 6-hour slow dripping and 1 week fermentation in the fridge. It tastes amazing and gives you that wake-up kick without fail. Their Irish Coffee (RM15) is similarly intriguing. It’s served with Chinese rice wine. Yes, go figure, but do know that the concoction is just so good. The rice wine used is of premium quality, made by a selected brewer in Melaka. 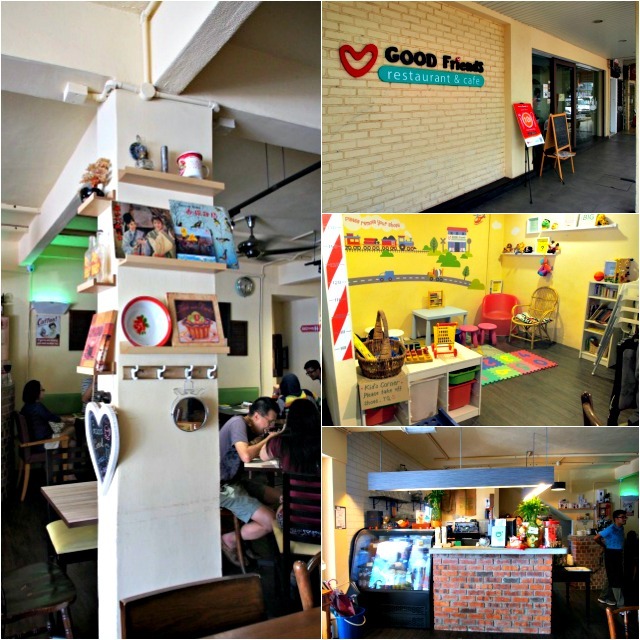 There are many other items I’d like to try in Good Friends Cafe like their paprika grilled chicken, bacon & egg waffle, the gorgeous salads and cold soba tossed noodles. The chefs’ mission here is to serve only food to their customers which they’d serve their families. That alone is good reason enough for me to go back. Thank you very much for your review Chris, really appreciate it. Very nice pictures and good review. 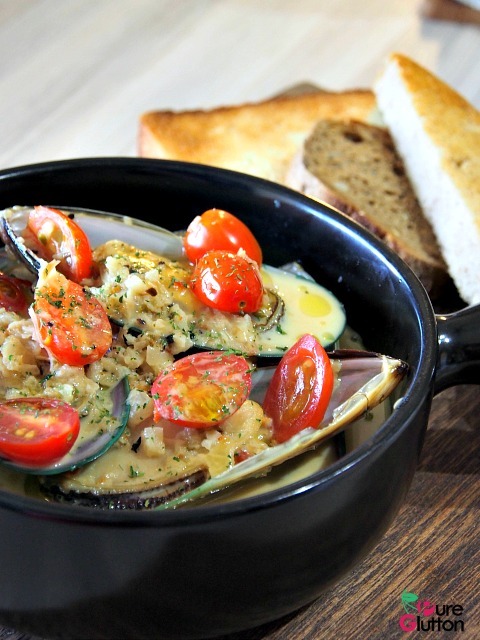 The mussels look great and like you said, there are plenty off menu deserved a visit. Maybe I should one day. Yes you should go visit soon!